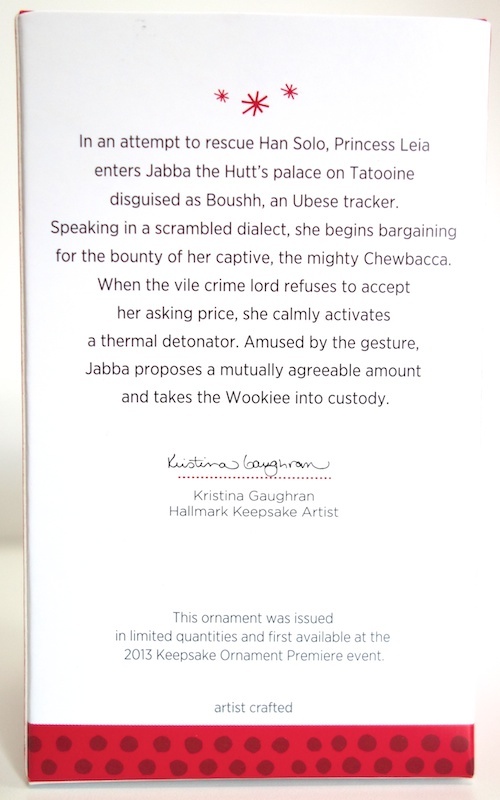 I posted about Hallmark’s recently released Jabba the Hutt ornament not long ago, and mentioned that I was kind of disappointed with the paint job. 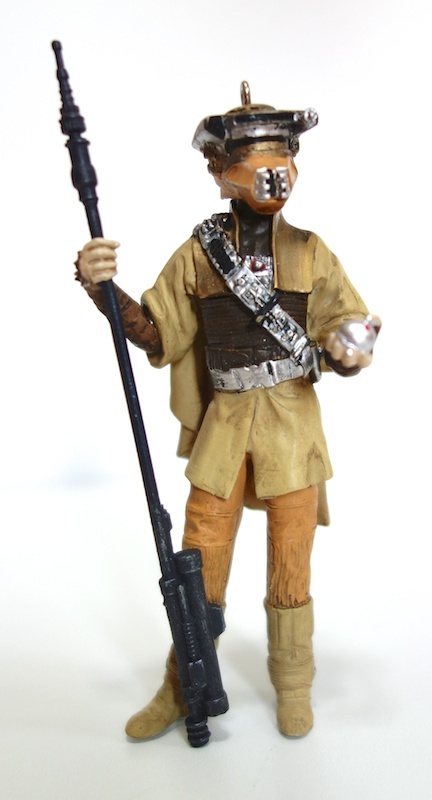 Boushh is another character from Jabba’s palace, but she’s not in the same scale as Jabba — she’s a lot bigger, at around 4″ tall. Like Jabba, the sculpt is fine, but the paint is mediocre. There’s a fair amount of slop and in general they seem to have just put down the basic colors and then done a dark wash over the whole thing. 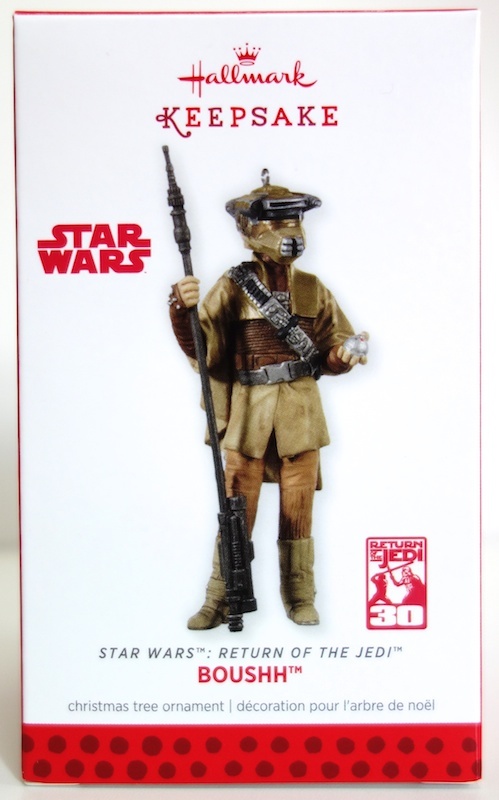 I’ve seen better paint jobs on action figures, which is a bit disappointing since this is supposed to be a “artist crafted” ornament and costs more than most figures, at $14.95. Still, I guess it’s not too terrible. Speaking of action figures, this ornament is roughly the size of an action figure — so close in fact that I had to get out the Saga Legends Boushh figure to check if they weren’t the same size. 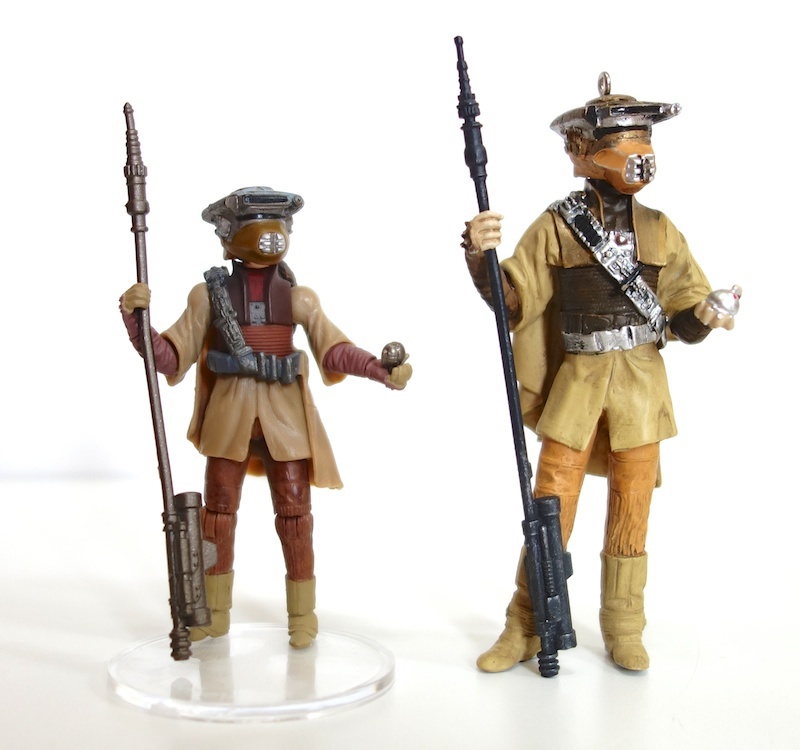 It turns out that since Carrie Fisher is rather short and Hasbro has made Boushh to scale with their other figures (as they should), their Boushh figure is smaller than the average figure. Still, it’s hard to get past the feeling that you’re essentially hanging an action figure on your tree when you look at an ornament like this.